They say "blondes have more fun," but I tried going blonde for the last eight months (I am a natural dark brown), and it really destroyed my hair. I loved it at first. I will admit I gained a bit of confidence from it, but ultimately by month six I was ready to just chop it all off. 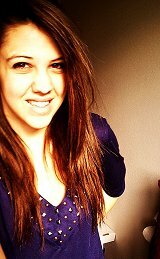 The last 4 inches of my hair were completely dunzo. This could have been from the fact that the thinned out style I chose to cut it was not the best for my already fine hair. Ultimately, I loved it until I killed it. Part of the reason my hair was so dried out, broken off, and split up was because I didn't take very good care of it. I used gel every morning to give it a little volume when blow drying, and sometimes halfway through the day I would straighten it to make it perfect. But I had been straightening my hair for four years prior and the damage was already present before I started to bleach it, which really didn't help with all the other destruction. So was there a cure for all the harm I'd done? Yes! Well, sort of. It's not so much a cure as a way to protect it from the start. First off, always, always, always keep up with trimming your hair. It helps with breakage and keeps your hair growing. According to marieclaire.com: "short cuts or lots of layers require more frequent cuts" while longer hair "can grow out gracefully with fewer trips to the salon." Secondly, using good products with all aspects of your hair can do wonders to keep it healthy. When I first started to consider using protective products in my hair I really had my doubts because I hate spending money on products I can buy a lot cheaper at Wal-Mart. 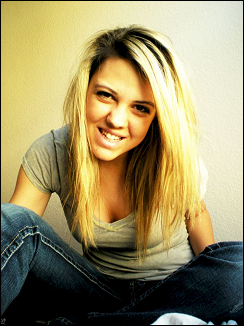 But the truth is, when it comes to hair products a little more goes a long way. I asked around and my friends said to use CHI Silk Infusion. 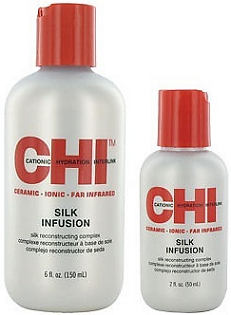 CHI Silk Infusion is available for $8.99-$14.99 at folica.com or for $23.50 at your local Walmart store. It keeps your hair feeling silky and amazing while also protecting from heat when blow drying and flat-ironing. Recently I learned of a new product that "makes CHI look like last year's news," according to my hairdresser Sally. It's called Magic Potion from Xtend Simply Smooth. Xtend Simply Smooth is available for $19.19 at sleekhair.com. It is also a Keratin reparative that keeps one's hair looking beautiful all day long. I've tried both products, and from what I can tell they feel the same and are about the same price (between 20 and 30 dollars a bottle). Using these types of products really helps with broken down hair. I still have an inch of hair that is just destroyed, but after putting the product in my hair it ends up feeling smooth like the rest and doesn't look broken and frayed anymore. Now, if you're thinking twenty dollars is too much for one bottle, try another CHI product called Keratin Mist. This product is not as effective as the others, but costs about ten dollars less and still protects your hair when used correctly. This seems like a lot just to keep your hair in great shape, but honestly it allows your hair to keep growing healthy while still being able to style it in a way that makes you happy.